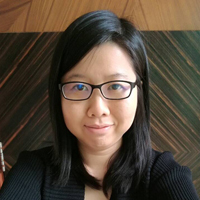 Ng Vi Kee （吴慧琪）is a practicing lawyer since 2011 and she was graduated from University of London in 2009 and obtained her Certificate of Legal Practice in 2010. The following year, she read in chamber at Messrs Raslan Loong assisting in corporate advisory work. Thereafter, she joined Messrs Chris Lim Su Heng assisting in among others, corporate advisory and corporate secretarial work. In 2014, she joined the Corporate & Capital Markets division of Messrs Cheang & Ariff assisting in mergers and acquisitions, equity capital markets, private equity and venture capital. She joined Chur Associates in September 2017 as legal assistant supporting the partner in the area of commercial and corporate advisory. In 2018, she has been promoted as a Partner of CA in the area of Corporate Advisory. As the leader of Corporate Team Leader, she contributed to the firm’s BizTip$ long weekly series that aim to share with the entrepreneurs the many ways and options in financing the operation and the expansion of business. Currently she is leading the lawyer June Wong, Wan Yi and Xiao Xuan, and supervised by the Managing Partner Chris Tan and Senior Consultant Christopher Wong. In term of communication, Vi Kee is able to understand and speak fluent English, Malay and Cantonese. However, her fast learning enable her to understand Mandarin better now. CA as a team, the team members always back up each other to help each others and solve our clients’ issues. Vi Kee is also practicing these CAlture in CA, which is Team, Approachable, Accountable and Respect. Vi Kee heads the legal assistants and supporting staffs in the Firm. She is responsible for the internal communication within the Firm and the welfare of all CAtizens. Making and maintaining CA a happy place to work is essential as she strongly believe that a happy working environment attracts positive energy which naturally boosts performance of all CAtizens.